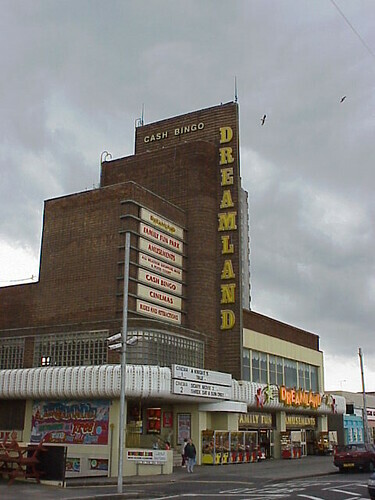 The Dreamland cinema was opened on 22 March 1935. It was designed by architects, J R Leathart, W R Granger and J B Iles. It survived as a single auditorium cinema until 1973 when the balcony was converted into twin cinemas and the stalls area converted into a bingo hall. My photo dates from 2001 when the cinemas and bingo hall were still open. Both cinemas and the bingo closed in 2007.